Some of the most important types of records we ever come across as genealogists are estate records. All the kinds of documents that get created when someone dies: wills, inventories, petitions for partition, and more. And all kinds of terms get used in those documents that can be as confusing as all get out. And very little is more confusing than the concept of who gets what from a will. Though The Legal Genealogist has tackled this before,1 it’s a topic that keeps coming up, so let’s see if we can make sense of this. Now let’s say John is the last of the parents to die, and he leaves a will written years before, when Brenda was still alive. How his estate gets split up among his four living descendants depends on the words that were used in the will. But how should it be divided? That’s where those other terms come into play. And if John didn’t use either of those terms or concepts, the law would usually look at the classes: children would be one class; grandchildren a second class. Those in each class would take per capita; those who took by representation of a higher class (Dan and Edna taking Brenda’s share) would take per stirpes. There are exceptions, of course; sometimes unless it was clear that a deceased child’s children were deliberately excluded, even saying “to my children per capita” wouldn’t exclude the grandchildren. That’s a matter that could vary from state to state, and even today it’s often different between states and American law can differ from the rule in England and British commonwealth nations. These comments are still applicable today. Having just had a new will written because of a move to another state, I made sure I understood exactly how the wording would affect my heirs. I probably drove my attorney a bit nuts with my questions, but I feel very comfortable now that my estate will be disbursed as I intend. By far the best explanation of these terms as we genealogists encounter them. I looked at my will and am planning to redo it anyway but now will be certain it does what I want it to do. I’m an accountant, dealing primarily with taxes. Your readers don’t even want to know about the wording in a document I received yesterday in connection with a case! Since this topic will come up again in future, I’d recommend a small change to the illustration. 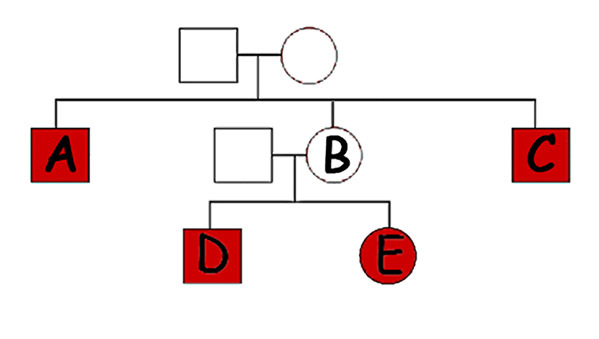 Add a fourth person in the middle generation, with a different positive number of children than the other one who has died. I think this will serve to illustrate the terms just that little bit more since each case would then have a different result (aside from “per capita” and “share and share alike”). By this time some children had died without issue and some had large families and some small ones. A “per capita” challenge was made, but the judge decided that the will fairly clearly indicated “per stirpes”. The one adjustment he made was to divide the shares of lines with no children among those with. Takeout message from all this – don’t leave a will with messy consequences. John Lobb may have avoided leaving money to his children, but it was his grandchildren who suffered for it. If it’s per issue, ie all the descendants, what does it matter that Brenda has died? The way you explain “issue,” if Brenda were alive, each of the five descendants should get 20%. Can that really be right? It matters because only the living take, Israel. Once Brenda has died, she’s out of the equation. But if she were alive would it be divided by five because there are five descendants? Only if the will clearly said that’s what was intended, since the usual intent of a decedent would be to benefit children before grandchildren. I’m still trying to figure out who the children of a couple in mid 19th century Iowa were. Your blog touches on the borders of my problem. My Phebe dies intestate (as far as I can tell) in Iowa in 1863. The only probate records are quite sketchy. The final settlement says her little estate will be divided among seven heirs, but they aren’t named. I believe but have not proven that by 1863 she had six living children, plus one deceased son with no issue, plus one deceased daughter with several children. So who were the seven heirs? If the court counted all the children of the deceased daughter as a single heir, the list would work out nicely for my attempt to reconstruct the family. But I don’t know if that was ever done. Further, would the wife of the deceased son have any claim on the estate? I don’t think so, but I’d like to rule that out. It isn’t likely that all of the grandchildren were referred to as a single heir. It’s possible, and you should read other probate records of the time and place to see if that was local practice. But it wouldn’t be the norm. The wife of the deceased son shouldn’t have any claim on the estate unless the mother died first, in which case the daughter-in-law as widow of the son might have a dower right. Excellent bog post, Judy! I would like for you to expand on it, particularly with regard to the term “per capita.” My questions are similar to those of Dave and Israel above. Using your illustration, let’s assume instead that either Charlie or Adam married and had children living at the time of John’s death. Or that either Dan or Edna had children at the time. In a per capita distribution, would a living parent and child inherit equal shares, or would the parent’s inheritance exclude the child? Also, if an infant (minor) was entitled to inherit under a per capita distribution, but died before distribution and before reaching the age of majority, how would that share be treated? And one more question: In states that have recently established “personhood” laws, would a fetus conceived before a decedent’s death, but born after, be considered to inherit a share under any of the circumstances you addressed? I can already hear you saying, “It depends.” Perhaps you will consider expanding on this topic in another blog post? I have a 4-great uncle who received 4800 acres in Tennessee for his service as a surgeon in the Revolution. He never went there, but evidently during his lifetime, he offered it to his siblings, nieces, and nephews. He signed a prenuptial agreement, married in 1791, and lived out his life in Georgetown District, SC. He and his wife had no children. His 1817 Will was destroyed in a Courthouse fire during the Civil War, but one provision survives in court papers filed in the 1820s in Williamson County, TN. “I give devise and bequeath unto my brothers and sisters, in the State of Tennessee . . . the whole of my land in that State . . . to be equally divided among them share and share alike . . . excepting [others named] . . . who are each to receive one half only of the proportion devised to each of the other devisees.” The settlement documents name all of his siblings, indicate whether they were living or dead at the time of the decedent’s death, list how many children they had, indicate whether each sibling / niece / nephew was or was not living in Tennessee on that date, and name the nieces and nephews who were entitled to inherit. This is the only primary document found to-date that establishes many of these relationships — for a family that originated not in South Carolina or Tennessee, but in North Carolina. A wonderful way document a pre-Revolution household in a place and at a time far from the source!